Is the assessment of employee's `likely noise exposure`, in accordance with The Control of Noise at Work Regulations (NI) 2006. The assessment is to ascertain the likely exposure levels of employees. This is based around: employee duties, equipment, other areas including driver operations and analysis of hearing protection. WE DO NOT assess using dose meters. This is an unattended assessment and noises present may not be identified. Additionally they are unable to give accurate recommendation based on hearing protection. WE DO suggest this is an acceptable internal spot check for any Health & safety officer/Manager (in between a consultant based assessment). Tier level 3 (Basic detail report) softback . (Pure tone) is a process of evaluating a person's response to individual frequency tones, compared against the Health & Safety Executive Categorised guidelines. All in accordance with The Control of Noise at Work Regulations (NI) 2006. 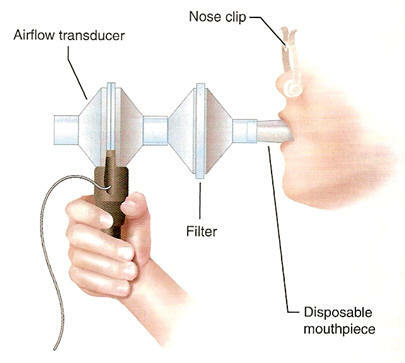 Testing is recommended before people are exposed to noise i.e. (new starts). However, Audiometry can & should be introduced at any time for employees already exposed to levels of 85dB(A) on a daily basis. Audiometric screening is carried out using a mobile unit. The unit guarantees a facility where screening can be carried out at the Company’s premises/onsite (reducing down time, costs & duty of care), and away from the working environment ensuring total respect for each employee. British Society of Audiology (BSA) for screening. Access to a protected 13-amp plug. Audiometric graph with result & subsequent page relevant questionnaire (current year questions). Questions excluded for Pre-assessment. Results following the strict Health and Safety Executive Regulations. Employee/s who denies permission; the nominated person will receive; (a)ReferraI results (Category list). Any other data which is permissible (calibration, audiometer & SLM), (measurement, levels within sound booth for BSA & ISO reference) & (additional details general checks etc.). Any other data which is permissible (calibration & measurements details etc.). The company after consultation with employees can nominate a person in-charge of medical data. He/she shall store the data separately / securely onsite. It is the company's responsibility to inform CATS Ltd of this individual. Results similar to Audiometric reports. 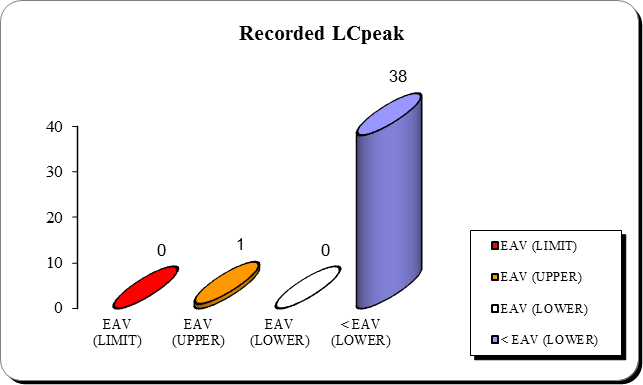 Graphical representation of recorded exposure limit values, action values and hearing protection. (Executive Summary). Explanation of the company site and area surveyed & The purpose of the survey. Exposure limit values and action values presented detailing the measurements which fall under each category. Action for Health Surveillance and hearing protection. Worse case measurement/s giving examples on how to comply with the Regulations. Summary of the key Regulations. Details on the activity and employee working pattern (as advised). Chart showing exposure duration and exposure levels for each activity carried out, all values are colour coded for quick reference. Octave band readings & measurement used to calculate hearing protection. 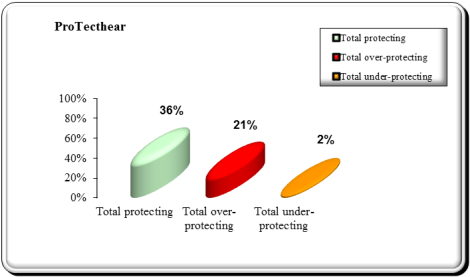 Octave band assumed protection values. Instrument details and calibration levels. Explanation of the company site, area surveyed & the purpose of the survey. 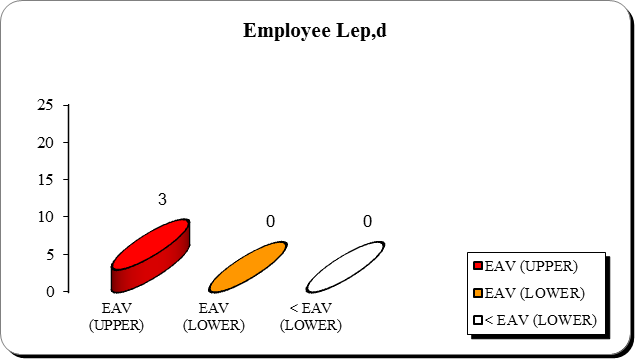 Exposure limit values and action values, single measurements used as a comparison (LAeq)*8hr as ‘daily exposure level’ (LEP,d). Company representative to assess employee full working activity / day and levels. Basic octave band values, for hearing protection. Summary of the key Regulations. Negotiable with Consultant, At the discretion of the Consultant. Any form of Occupational Health consultation by an Occupational Health Physician (OHP) is the same as other medical encounters, confidentiality applies in exactly the same way. Confidentiality for the employee is in the same relationship with the occupational health practitioner as any other patient. At CATS LTD. we are not registered (OHP), however we strive to give the complete anonymity to the patient & the Company. Therefore, the patient must give informed consent to CATS LTD.
Consultation cannot proceed where consent is not given to CATS LTD.
ID & Name & (Categories 1 to 4 & U). Not a pass or fail. An additional consent is required from both the employee & the Company if additional records are required, i.e. for the purpose of Disclosure to Legal Advisers. Program 1: A fine tuned general shooting program, providing ambient awareness for a natural listening experience. 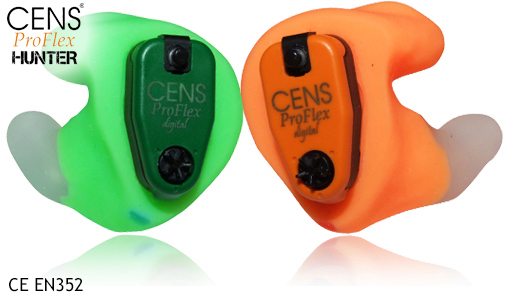 Evolution in gunshot hearing protection continues with the CENS® ProFlex electronic module combined with unique multi-softness custom fit earpieces. This new unique design combines superb functionality with an eye catching appearance, and this latest development leads the trend towards obstruction free, comfortable custom noise suppression for today’s shooter. 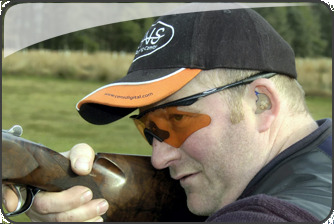 The CENS® ProFlex is also suitable for use with both rifle and shotgun shooters. Made from flexible, medical-grade silicone material, these digital, ultra soft noise suppressors are designed to be extremely comfortable over long durations, whilst still providing the excellent suppression you expect from CENS® digital. The electronic module is removable making cleaning a simple effective operation. Program 1: Optimised for game shooting where there are intermittent shots. This configuration also helps by amplifying sounds such as wings flapping, thus providing the shooter with advanced warning of approaching quarry. 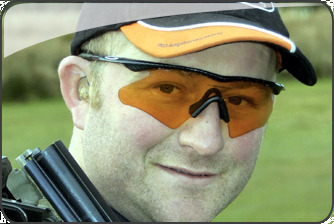 Program 2: Optimised for clay shooting where there are continued shots. 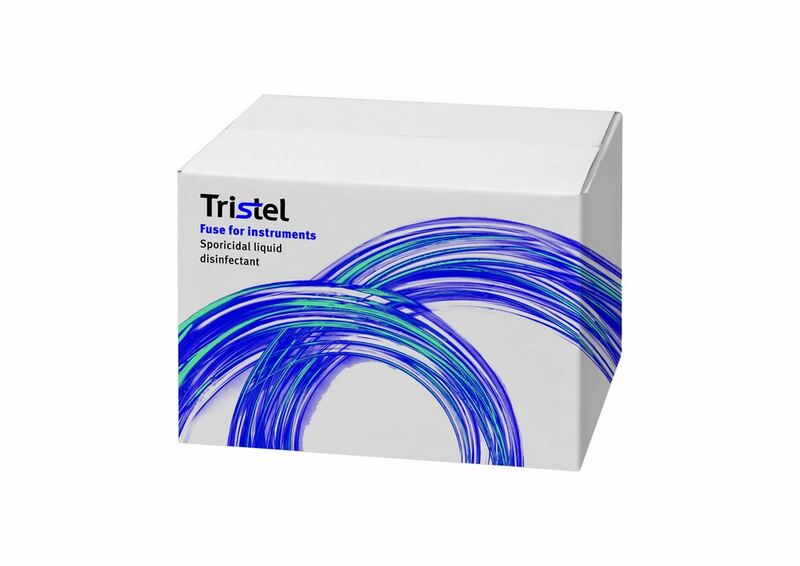 This system has been designed to allow more flexible noise suppression while still amplifying ambient sounds. 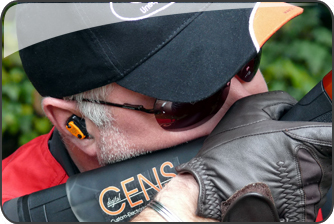 Providing unsurpassed suppression, while giving the wearer improved perceived sound, CENS® digital 2 are the original custom electronic noise suppressors. 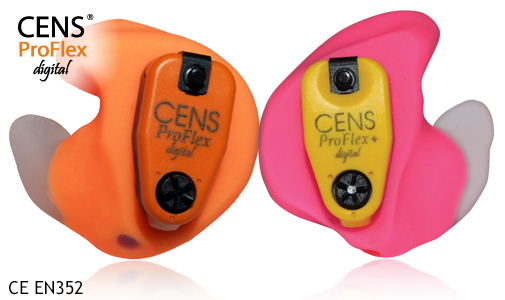 CENS® digital 2 - audibly superior custom noise suppression. 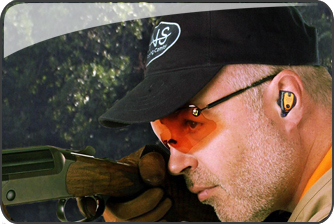 Providing unsurpassed suppression, while giving the wearer improved perceived sound, CENS® digital 1 are the original custom electronic noise suppressors. 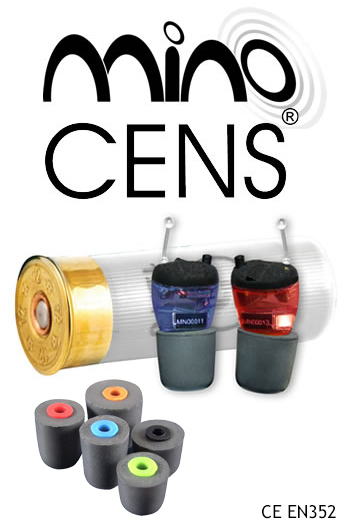 CENS® digital 1 - audibly superior custom noise suppression. 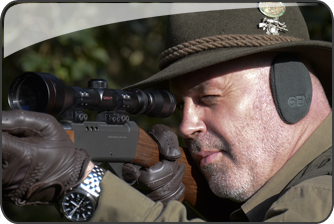 Usable straight out of the box, and featuring state-of-the-art CENS® digital technology, the new Mino CENS® offers shooters an affordable way to experience comprehensive CENS® digital electronic hearing protection. Mino CENS® universal electronic ear plugs are specifically designed to fit into any ear without the need for ear impressions or a custom-made earmould, and like full CENS® Proflex, also still allows for clear communication as well as enhanced ambient awareness. 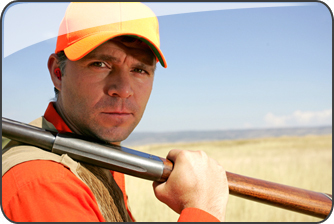 When a gunshot is fired, the electronic circuit instantly suppresses the loud noise, protecting your hearing! Mino CENS® are supplied with 5 different sized high quality foam ear tips, providing an effective and comfortable universal fit wearing experience. 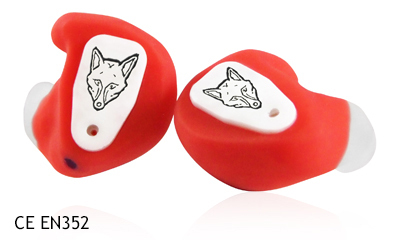 This can then be enhanced even further by purchasing custom-made eartips at a later date. 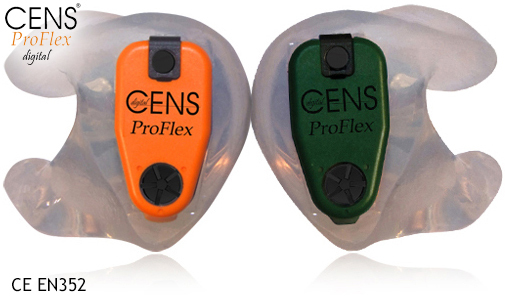 These earplugs can be upgraded to full CENS® ProFlex digital by purchasing the electronic module at a later date, allowing you to spread the cost of the earplugs and modules over time. Is a process of assessing a person’s lung function capability against the National Institute of Clinical Excellence (NICE) & Crest guidelines. All in accordance with The Control of Substances Hazardous to Health Regulations (Northern Ireland) 2000 (amendments 2003, 2005). Testing is recommended before people are exposed i.e. (new starts). 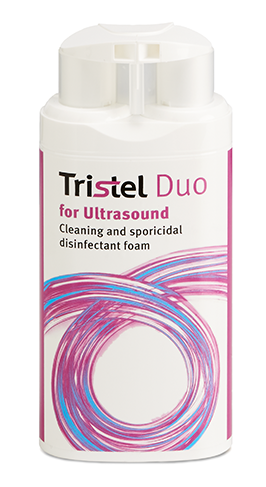 However, Spirometry can & should be introduced at any time for employees already exposed to products labelled R42/43 or the following substances: Isocyanate paints (eg 2-pack paints), flour dust, grain dust, glutaraldehyde, wood dust, latex, rosin-cored solder fume, glues, resins and also laboratory animals (this list is not exhaustive). 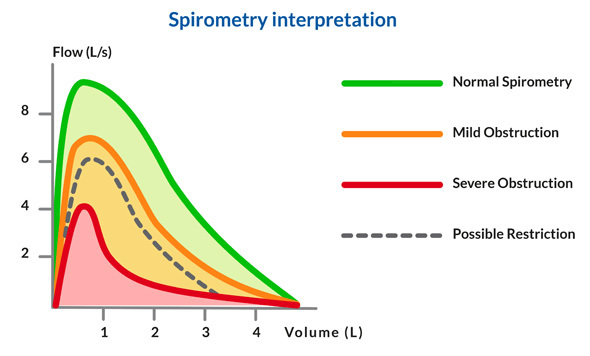 Spirometric screening is carried out using a mobile unit. The unit guarantees a facility where screening can be carried out at the Company’s premises/onsite (reducing down time, costs & duty of care), and away from the working environment ensuring total respect for each employee. Access to a protected 13amp plug. If you have found that you need health surveillance, the following checklist may be	useful before or during a first meeting with a potential health surveillance provider. 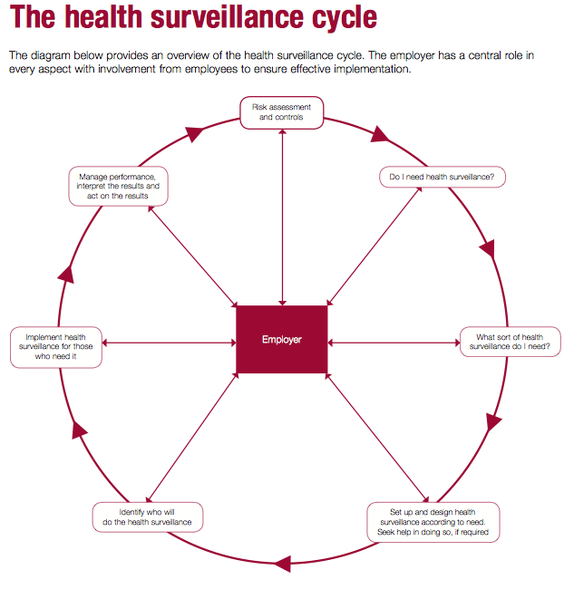 Consider the practical aspects of getting people to health surveillance appointments (don't forget shift employees, those working remotely, or those who are absent because of illness or holiday. They all need to be included if they do work which requires health surveillance). Agree the format and frequency for the feedback of results, eg do you require a written or email format; do you need just the results or do you need interpretation of their significance as well; will you need the provider to highlight any actions required? When looking to appoint a competent advisor to help with health surveillance in your workplace, you should try to find someone with experience of dealing with your particular industry and the hazards involved. Responsible persons A responsible person is someone in your organisation who is given the responsibility to help deliver a health surveillance system from within the workplace. They will have received training or coaching on what they need to do to perform this role effectively – which may involve training from a health professional, a health and safety professional, management or any other, as appropriate. This person's role in the health surveillance system should be clearly defined and they should be someone who is trusted by the workforce, with good communication/interpersonal skills. Relevant qualifications can be confirmed with the appropriate governing body: the General Medical Council and the Faculty of Occupational Medicine (for doctors); or the Nursing and Midwifery Council. Nurses holding specialist qualifications in occupational health will be registered as specialist community health nurses (OH). 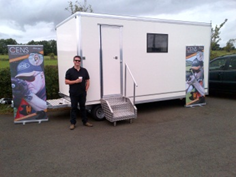 After achieving the recognised Certificate from the British Society Audiology (BSA) we established a portable facility to service commercial industry, by being the only company at the time to carry out audiometric screening portably onsite and within an acoustic sound booth. Soon afterwards, continuing our program of continual Professional development we entered the acoustic consultancy field and expanded our portfolio within the health and safety business sectors. To date we have maintained a working relationship within a wide range of Commercial business across the Province, with; Audiometric screening (hearing tests), Spirometry (Lung assessment), Noise at Work and Custom moulded hearing protection, Recently we have supported a number of Companies in Dundalk and Dublin with Hearing Protection & Ear irrigation. To provide a competitive service through growth & superior customer satisfaction in our Service, Innovation, Quality and Commitment. Helping business to maintain the safety of employees at work through Surveillance (Noise & Health). 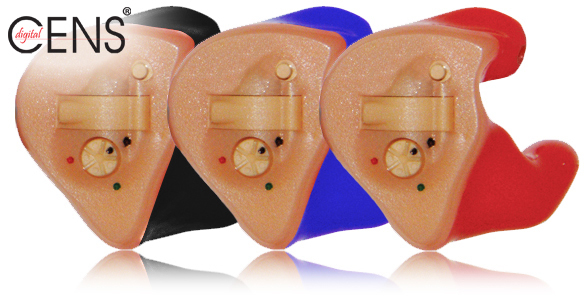 The company's strength is in the unique individual style tailored to meeting an exact program of service around hearing conservation. With consistent Reliability & a commitment in purchasing we only provide quality products for our services. To provide an individual High quality service to meet the needs of both Employer and the Employee through the better understanding / knowledge and acceptance of Health & Hearing Conservation It is our intention to allocate sufficient resources in time and money to achieve these objectives and we are confident that the importance of our objectives will be recognised by all employees and employers concerned and that every individual will co-operate responsibly in the sustained efforts necessary to attain them. 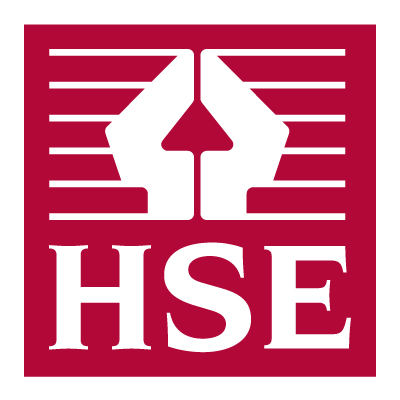 Health & Safety Excutive UK http://www.hse.gov.uk/noise/index.html Noise at work Over 1 million employees in Great Britain are exposed to levels of noise which put their hearing at risk. http://www.hse.gov.uk/noise/advice.html Advice for employers; The health effects of noise at work & Do you have a noise problem at work? Wish to thank all our clients who have supported us & their employees over the past years in providing our services. This forthcoming year CATS Ltd. will invest in additional products to improve our Services. We attended a course on Human Exposure to EMF. We aim to complete our certificate by the end of June in time for the UK legislation commencing 3rd July 2016. This legislation is concerned with the Electrical & Magnetic fields produced by certain types of connections. The main concern is directed around Medical Implants. Details presented on this website are without prejudice. in the Newtownabbey area, with our services available across Northern Ireland.